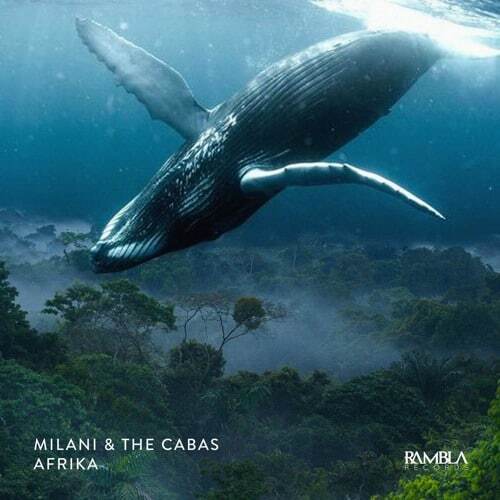 The legendary Milani (from Nari & Milani) debuts on Rambla Records with a dope techno tune called “Afrika” together the upcoming Swiss artists The Cabas. The track is an EDM vortex with techno influences. Into the arrange every single element is combined with an impressive progression that make the track like a train. Milani & The Cabas join forces once again after mixing the WOOF Selection earlier in August and “Pressure” release on Groove Cartel in October. However, their new track “Afrika” follows the latest Rambla Records’ release of Kvnk – Origini (Anderblast Edit) last month and track “JP Candela & Anderblast – Exciting”, which caused some serious dancefloor damage. Previously, Anderblast’s label welcomed Tava on the Rambla Family with his massive “Nevermind” EP, including collabs with Game Over Djs and Jack Note! “Nevermind EP” release were also followed by the Mathias D. – “Keep Doing” and Pietro Cavazza – “They Know”. For those who aren’t familiar with them, The Cabas is an EDM and Future House production and swiss DJ duo. The formed in 2016 consisting of brothers Marco Cavallaro and Riccardo Cavallaro. Now, listen to “Afrika” below or buy/stream it here and tell us your thoughts in the comments.